Tim Spadaro is a director in the Business Valuation and Buy/Sell Side Due Diligence Divisions of VMG Health in the Dallas office, where he provides business valuation, transaction advisory, and consulting services to clients within the healthcare services industry. 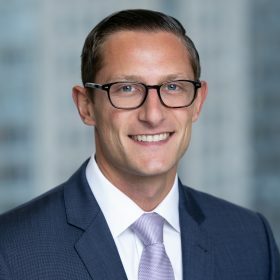 Tim has valuation experience related to mergers & acquisitions, financing, shareholder transactions and disputes, gift & estate tax, and marital dissolution. He is also part of the specialized team performing buy-side and sell-side financial due diligence, including quality of earnings & quality of revenue analyses. As a consultant, his goal is to assist clients with expansion, acquisition, capital budgeting and strategic decision making. Prior to joining VMG Health, Tim gained accounting and valuation experience at PricewaterhouseCoopers and Strategic Value Partners in the New York Metro area and headed up the valuation group at a regional accounting firm in Upstate New York. Tim attained both his Bachelor of Science and Master of Science in Accountancy from Bentley University in Waltham, Massachusetts. He has earned the Chartered Financial Analyst (CFA) designation and is also a Certified Public Accountant (CPA) that has received the Accredited in Business Valuation (ABV) credential.